Barcelona. Even if you’ve never been there, you don’t need me to tell you why you should visit. You already know. And while it’s wonderful in many ways, so too is the surrounding area. If (and when) you make it to Barcelona, don’t stop. Continue north and explore Costa Brava as well. Just two hours north of the city, Costa Brava, or “the rugged coast”, is easy to reach by car or train. Just ask the locals who migrate there each summer, hoping to catch a cool summer breeze off the Mediterranean, enjoy freshly caught seafood, or hike along the dramatic coastline. We first started in Barcelona, then to Cadaques, across to El Port de la Selva, and finally along the coast and slightly inland to Thuir, France. Although we did the trip in just three short days, you could easily extend it to explore even more of Costa Brava. Sitting on the easternmost point of Costa Brava overlooking the Mediterranean, Cadaqués draws much of its charm from its surroundings: whitewashed buildings nestled into the steep hills, cobblestone streets, and a rippling blue sea dotted with fishing boats. It’s easy to see why Spanish and foreigners alike flock here for weekend or week-long getaways. 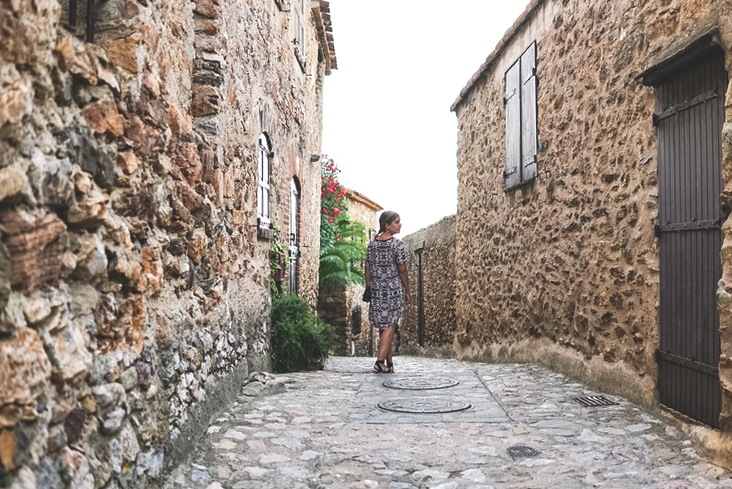 The town also has a creative past; once a haven for artists such as Pablo Picasso, Marcel Duchamp, and Salvador Dali, who summered here as a child and later owned a house, which you can visit, in the neighboring village of Port Lligat. Gabriel Garcia Marquez even mentions Cadaqués in his story, Tramontana, which you can read in his book, Strange Pilgrims. Can Pelayo: I wouldn’t recommend this place, but it’s the only restaurant we actually tried. Nestled on a narrow street just above the main ocean boulevard, this family-run, seafood restaurant was warm, welcoming, and affordable. Having found it in an old New York Times article, it looked promising. However, its cornerstone dish, the paella, was average and the dessert was half-cooked (!!). Compartir: This is where we wish we had eaten. Opened by three sous-chefs from the acclaimed, Barcelona restaurant, elBulli restaurant in 2012 in an old house in Cadaques, Compartir is its more casual counterpart. Yet, they still serve high quality, inventive, and -- of course -- delicious Spanish food. Bar Boia: What’s a seaside town without a bar on the beach? In Cadaqués, Bar Boia is that place. Head here before or after dinner for a wide variation of gin and tonics and a seat by the sand. Camping Cadaqués (33 Euros / night): Not wanting to risk accidentally parking illegally for the night, we paid 33 Euros to stay at the town campground (in peak season). A ten minute walk downhill to town, it’s peaceful and had all the essential amenities. Hotel Tramuntana (120 Euros / night): Although we didn’t have the chance to stay here, I want to. The hotel’s stylish, minimalist decor, homemade breakfasts, and the homage it pays to Gabriel Garcia Marquez with its name, has me hooked. While Dali fans can catch a glimpse of his life in Port Lligat, a 30 minute drive outside of town rewards visitors with something more spectacular: one of the landscapes that inspired his paintings -- most famously, The Masturbator. At the end of a windy, rural road sits Cap de Creus Natural Park, a preserved area with rich biodiversity and a wild, weird landscape of cliffs and coves. Even if you’re not into Dali, wandering along the tall, pockmarked rock formations and bright blue sea coves is a captivating experience. While you have to pay to get into this section of the park (and it’s worth every euro), most locals head up the road and park at Bar Cap de Creus. From there, you can walk to a small cove for free to swim and lounge on the rocky beach at the end of the trail. Thanks to a tip from one of the park rangers at Cap de Creus, our next stop was El Port de la Selva. “There’s a good campsite, not too crowded, there but also some places where you can park for free,” she said. Although similar to Cadaqués, El Port de la Selva felt more down to earth. Or maybe it was just the hours we spent sipping beers and eating pinchos next to the ocean at El Pas, a tiny shack turned beach bar, singing along to old Sublime songs with the dreadlocked bartenders. After watching the afternoon rains come and go from a pair of wooden stools, we wandered to Ca l’Herminda, a bright yet cavernous restaurant reminiscent of the rock-walled, Valletta wine bars I came to know while living in Malta. “We only have one table left. It’s on the balcony upstairs,” the hostess said. “Perfect,” we said, and spent the next two hours watching passersby over carafes of red wine and fresh seafood, before stumbling back to our van -- parked in the beach parking lot -- for the night. El Pas (Port de la Selva): I almost didn’t want to tell you about this bar. Low-key, cheap, and right next to the beach, it’s an ideal place to laze away an afternoon or evening. Wes Anderson fans: the Life Aquatic mural will make you feel right at home. Ca l'Herminda (Port de la Selva): At once homey yet somewhat formal, Ca l’Herminda, which first opened its doors in 1963, is a wonderful place for a classic, seafood heavy Mediterranean meal. Bar Cap de Creus (Cap de Creus): Perched on the cliff above the park, Bar Cap de Creus serves an eclectic menu of Catalan an Indian food. Be warned: it’s popular. Bring your own (Cap de Creus): We skipped the crowd at Bar Cap de Creus and instead joined dozens of others on a rocky beach by the sea with our own picnic of Spanish specialties. After a coffee in our campervan by the sea, we set out on day three of our adventure. Even though we had spent so little time in Costa Brava, our plan was to head north along the coast, cross into France and end in Thuir, France. What’s a drive up the coast without a beach-stop? We didn’t make it far before stopping at Platja de Garbet, a sandy cove with plenty of space to sprawl out and a high-end restaurant (which we were way underdressed for). Tucked away on the far corner of the beach, though, sat a small shack where teenagers were renting out kayaks and paddle boards. We rented one and (since I have a totally irrational fear of the ocean) anxiously paddled out and around the bay, then rinsed off our feet and hoped back in our car -- and into France. You wouldn’t think the landscape would change much just by crossing a border, but it did. As soon as we entered France, the seaside cliffs became scattered with grape vines -- evidence that we had entered the Languedoc-Roussillon wine region of France. “It’s crazy to see them growing so close to the sea,” Jon -- who happens to be a former winemaker -- said. “I wonder what they taste like.” Finding out wasn’t hard. With a quick detour to Les Clos de Paulilles, a seaside vineyard established in the 1800s that also happens to be one of Town and Country’s recommended vineyards to visit, we were able to taste what hard work and the vines around us had created. 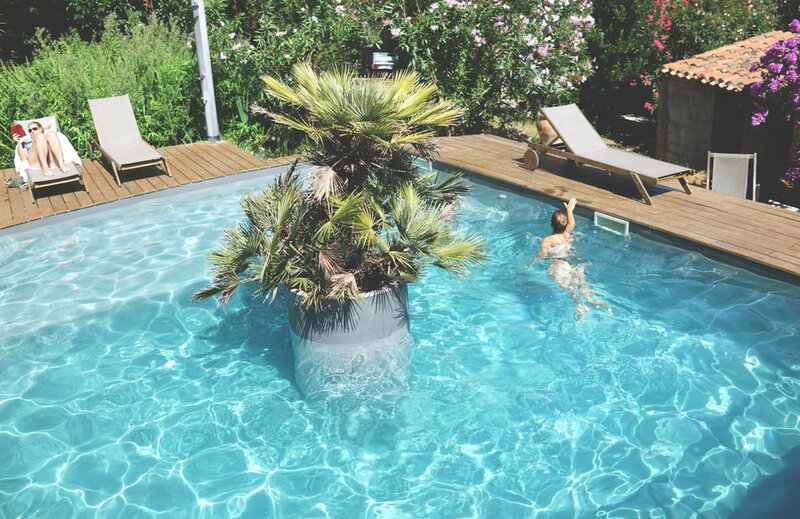 If you haven’t heard of the French association, Les plus beaux villages de France, it’s exactly what it sounds like: an association of France’s thousands of small, charming, countryside villages. Coming from the Costa Brava region of Spain, the medieval village of Castelnou -- complete with castle and cobblestones -- is the closest to visit. After exploring Castelnou, head to its more modern neighbor, Thuir, for dinner and a place to sleep for the night. Arbequina: Even in rural France, you don’t have to settle for fast food. Head to Arbequina for a prix-fixe dinner of inventive yet nourishing French dishes made from seasonal and local ingredients. Casa 9 (135 Euros / night): I searched for hours trying to find a small, unique hotel even remotely on our route before stumbling on Casa 9. With its jungle like garden, centuries old architecture, and friendly staff, it wonderfully blended sense of place with a feeling of escape. With more of Catalonia behind us than in front of us, we packed up and drove through the Pyrenees to our next destination: San Sebastian. However, you could also return back to Barcelona through Girona or continue along the coast of France to Montpellier.